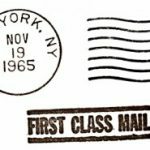 Customers would be able to purchase a special First-Class stamp which would be good for any future single-piece First Class letter mailing, no matter how prices might change beyond 2007. This would mean an end to those odd little two or three cent stamps that are used to ’round up’ an old stamp to the current price. So… If they go ahead with this, will you stock up on stamps? While there’s really no need to do so until they announce the next price increase (i.e., after the ‘forever’ stamps are introduced), you could save yourself a few bucks by building up a stockpile. As for me, I probably wouldn’t do much beyond replenishing our usual stamp supply prior to the price hike. Doing anything more than that just isn’t worth the added effort (or the risk of losing a huge stash of stamps). While we’re talking stamps, why not hop on over to Stamps.com for a bunch of free postage? You can always cancel if you don’t like it. All first class postage should be non-denominated. It’s ridiculous to have to purchase supplemental postage. I bet these $0.01 and $0.02 supplemental stamps suffer the same fate as the uneconomic penny. It costs nearly $0.02 to produce a penny! Thinking of my situation in regards to stamps I have started paying the majority of my bills online. Not only saving time but a little money on stamps as well. I still hang on to paying a few bills through the mail but I know that will not last too much longer. I’m sure most of you bloggers are using online bill pay. So who cares if stamps go up right? 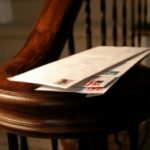 They are slowly becoming obsolete, unless you send a large amount of letters or other mail. 2 things I see here. First and foremost this is a great deal for the post office if people stock up on stamps. This will increase current year income without any matching expense since people are ‘hoarding’ the ‘forever’ stamp. If people hold on to the stamps for a couple years and then use them, the post office will have to increase rates because they have expenses but no corresponding income. Of course that is a new postmasters problem. 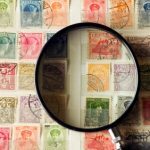 This would mean an end to those odd little two or three cent stamps that are used to â€™round upâ€™ an old stamp to the current price. So, if I have a bunch of regular 39 cent stamps now and they raise it to 42 cents, I am still going to need 3 cent stamps. They will need fewer of these, but not none. Also there is no talk of a ‘forever’ stamp for post cards, and our small office mails out 100 of those a week and they need additional postage every time the rates go up. The only way I see it working is if they quit putting values on all first class mail stamps and put say a gold star? So a gold star stamp is always good for first class letter whether it has a flag on it or mickey mouse. It’ll be the same price. After I’ve had a chance to think about, this is a smart move on the part of the USPS, as it’ll make price hikes more invisible in the future — no need to print the price on the stamp, and probably fewer people talking about it in the street. So it’ll not only streamline their operations, but it’ll also make it easier to bump prices going forward without as much negative publicity. Are you sure the forever stamp costs the same as the regular stamps, or might this special stamp be at a “special price” ?? What you left out was that the increase this past Jan. was required by an act of congress to create n surplus….the proposed increase for next year would go to actual expenses, as I mention in my own PF blog. If the price of postage continues to rise 5% a year, stocking up on stamps while they’re cheap could be a wise “investment.” But I probably won’t buy too many extra ones myself because of all the things that could go wrong. Between emails and faxes, mail is dead. A busy mail month for us would be more than 2 pieces of mail going out. I wouldn’t bother. I do not mail enough first class envelopes anymore to warrant it. Unless I was going to have to send out wedding invitations again shortly after a price hike, it would just be a waste of time and money. I’d rather make the 3 cents in interest in a savings account.